It's not dead. thank you for commenting on my pie chart. 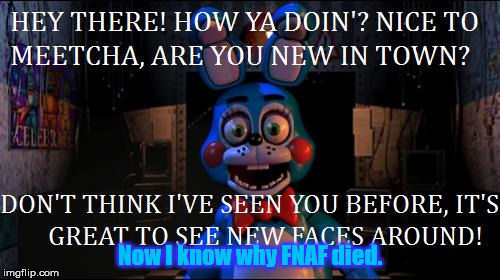 There is fnaf6 and ultimate custom night. And if you mean the fandom, then there are still theories, and memes, AND webcomics on deviantart.